Home > News > Got allergies? Allergies can be extremely frustrating, popping up when you least expect them. They’re caused by a dysfunctional immune response in which the body responds to a substance that’s usually harmless as though it were an unwanted invader needing to be actively and assertively fought off. You should always seek urgent medical advice if you experience severe allergies or are concerned that your child may be having an allergic reaction. However, in milder cases, the herbs discussed below may provide symptomatic relief. A herbal formula called Minor Bupleurum Combination (or Minor Bupleurum Decoction) has been used in TCM since at least 220 AD – almost 1800 years. 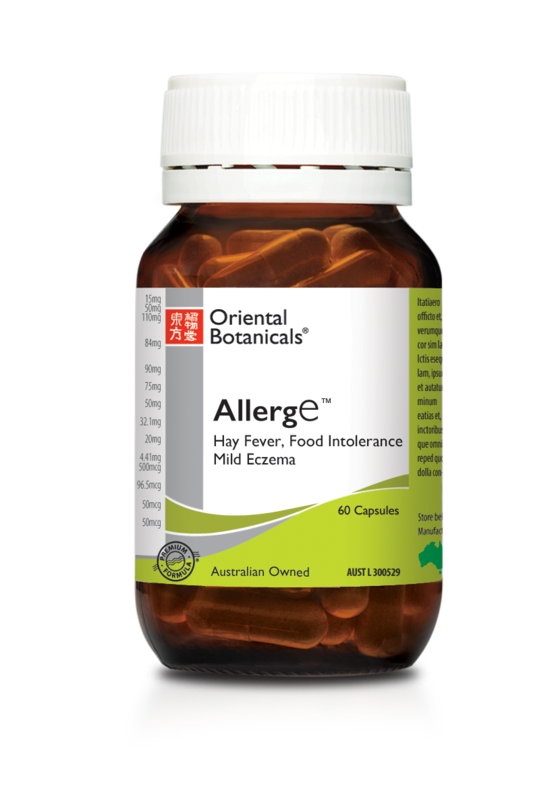 Today, this ancient combination of the herbs bupleurum, baical skullcap, Korean ginseng, ginger, ziziphus, pinellia and Chinese licorice is found in Oriental Botanicals AllergE, a non-drowsy formula available at pharmacies around Australia, and suitable for use by adults and children (aged 2 years and up). In TCM, herbs in this formula are used to support specific forms of life force energy or Qi (pronounced ‘chee’) called Defensive Qi and Lung Qi, which are believed to work together to support the body’s immune defences, improve resistance to allergens, and relieve mild allergy symptoms. Read on to discover more about whether these herbs are suitable for you. In Oriental Botanicals AllergE, Chinese licorice is teamed with Korean ginseng and baical skullcap (which are traditionally used in TCM to support Lung Qi, the form of life force energy mentioned above that helps boost overall resistance against allergens) and pinellia (which is traditionally used to relieve cough by encouraging Qi to move in a downwards direction). 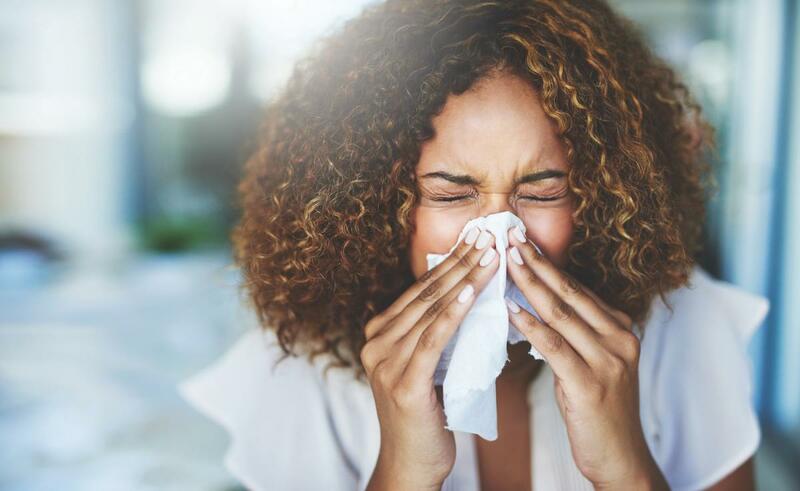 Whether your allergies are triggered by exposure to pollen, animal hair, dust mites, certain foods or something altogether different, they tend to have one thing in common: they’re usually initiated by the release of a substance called histamine in your body. Histamine is released when your body detects the presence of an allergen and has very rapid effects on the immune system that quickly result in allergy symptoms. In laboratory studies, herbs in Minor Bupleurum Combination have been shown to reduce the release of histamine from mast cells and inhibit its actions. Baical skullcap also demonstrates anti-inflammatory properties in experimental research.